Fury Note: almost everything in this guide applies to Fury Warriors, not just Arms. This guide is a collaborative effort between Ayra and Mystic, produced by SkillCapped. All of our written guides are available for free, and we encourage you to post them wherever you’d like as long as you use a link back! The original page is here. Gotwarcraft note: This page was originally for patch 5.2 gear and we’ve updated it for season 14 and patch 5.4. All of the appropriate changes are noted below. One big 5.4 changes that’s generally applicable is that Resilience went from 65% in 5.3 to 72% in patch 5.4. We’ve listed all the Warrior patch 5.4 changes if you want to check them out. The Short Warrior Gear Guide – all of it in one screen. Getting Started – You’re a new level 90. This is the “too long, didn’t read” section of the guide. Scroll down for more in-depth detail. Everything in this guide applies to Fury Warriors as well as Arms. PvE gear is viable in the battlegrounds since everyone had 72% Resilience. PvP gear has PvP Power and more Stam and you’ll want to gather it up, esp. since PvE gear is downgraded in BGs through Arena. Gem and enchant for Str and Crit. Ignore socket bonuses that aren’t Str. and slide a yellow Smooth Sun’s Radiance into those sockets. See the table below for enchants. 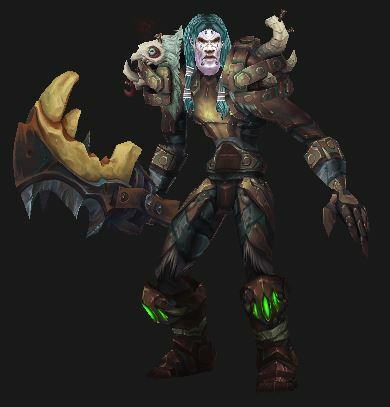 Buy, beg, borrow, steal, or otherwise acquire the Crafted Malevolent Gladiator set. Option 1: Gear up in the Timless Isles and start grinding your Honor set with 496 PvE gear. Option 2: If Crafted Malevolent is unavilable or two expensive then grab the Crafted Dreadful (previous season’s) set. Why? Going into rated BGs and Arenas with honor gear will be less painful that going in with lesser gear o PvE gear. Feel free to skip this step if you don’t mind being squished or you’re just that good. PvE gear is downrated to 512, the honor gear is 522, plus has PvP Power. This season’s honor gear is Grievous Gladiator. Season 15 Conquest Gear is Prideful Gladiator. Get the head, “on use” trinket, weapons, 4 piece set bonus, then everything else. Gem and Enchant as shown below. Alchemy for more stats from your chemicals and 2 hour duration on your flasks. Some argue that Crit > Str. Arms and Fury have the same priority. Note: We left out Stamina, as there will never be a situation where Stamina is better than any of these stats. Thus, you should never be Gemming or Enchanting Stamina on your gear. Reforging per item is shown below, but generally you want to reforge to keep your 3% Hit and 5-6% Expertise. After you have that, then Crit is #1, followed by Mastery. Haste is bad. Melee Hit is by far the most important stat for Arms Warriors, and yet its importance is often times overlooked by the Warrior PvP community. The hit cap for melee/ranged classes in PvP is 3%, and until you have reached the 3% threshold, you should make obtaining Melee Hit your number one priority. Fortunately, it’s easy. The 3% threshold ensures that all of your Special Attacks, or Yellow damage numbers as they appear on screen, will never “Miss.”. Expertise: You may notice that Melee/Ranged Hit required is much less than the amount of Hit necessary for Spell Casters (3% Melee Hit compared to 6% Spell Hit required). The differential is due to physical damage classes having the additional requirement of Expertise. The current Expertise cap is 3%, but most Warriors choose to accumulate Expertise near 6% to ensure more of their abilities land against Strength/Agility classes. Resilience is 77% for any player, regardless of gear worn, plus a 2 piece trinket set bonus which brings it to 80% total. This means that it is completely unnecessary to get more Res. Punching through the other guy’s 80% is more important. Warrior survivability is much stronger than it was in Cataclysm. Warriors have access to several top notch defensive abilities, including: Shield Wall, Second Wind when talented, and Die by the Sword. Because of this impressive defensive cooldown arsenal, many warriors choose to forgo added survivability from PvP Resilience in favor or more damage increasing secondary stats. PVP Power increases all of your damage against other players. This additional damage increases linearly and does not fall subject to diminishing returns, making this stat more and more effective as you gear your character. PvP Power was nerfed in patch 5.3 and the value of the gems was cut in half. Gemming for it is not recommended, the stuff on your gear will be fine. Strength increases your Attack Power. As a Warrior, Strength will increase your damage done by a considerable margin as you gear your character. Since Strength adds to your attack power, one of the more prominent statistics in terms of damage output, achieving the highest Strength levels possible will maximize damage output. In 5.4 Depp Wounds was buffed, which works well with Crit. Warriors also have the passive ability Enrage, which increases your damage dealt after scoring a Critical Strike with Mortal Strike and Colossus Smash. Arms Warrior mastery, Mastery: Strikes of Opportunity, increases the chance your melee attacks will trigger another swing. This additional damage adds up over the course of a PvP encounter and has the potential to add decent burst if the swing scores a Critical Strike at the proper time. Mastery is a decent stat to accumulate while gearing your Warrior. Haste increases a Warrior’s attack speed. An Arms Warrior’s weapon of choice is a slow 2-handed weapon, which means it would take an exceptional amount of Haste to really notice a sizable damage increase. Warrior play centers around setting up huge burst attempts on your target, so our secondary stats are better allocated to options better equipped to increase this sort of damage. If you decide to blow for the gems then here’s what you want. Note that there are “perfect” versions of all the gems and they have the same stats as the “regular” gems. One or the other is likely to be a lot cheaper. If gold is an issue then see our tycoon review and earn more. You DO want to match all socket bonuses. Meta: Reverberating Primal Diamond, pick up the Tyrannical Primal Diamond:after you have the rest of your gear. Powerful Primal Diamond: +Stam and 10% reduced Stun Duration. Some like this one for the reduction in stun duration, which increases survivability by a bit. You should not need enchants for Hit or Expertise, but if you do then use gems instead of enchants. You get more bang for the gold piece with gems. Weapon Enchant Weapon – Dancing Steel: Sometimes increases Str by 1,650. Living Steel Weapon Chain: +200 Expertise and reduces disarm duration by 60% – this is a decent alternative if Dancing Steel’s price is too high. Another good one is Colossus. Enchant Weapon – Glorious Tyranny: 400 PvP Power, 200 Resilience, 50% Disarm reduction, cost is 1,000 Conquest points. Chest Enchant Chest – Glorious Stats: +80 to all Stats. With the 5.4 changes (72% Resilience) this is now preferred over the Resilience enchant. Boots Enchant Boots – Pandaren’s Step: +140 Mastery and Slight run speed increase. This section is geared towards people who have recently hit 90 for the first time, or have an under-geared alt that needs to be primed for beginning the PvP gear grind. One gear option is to gear your character on the Timeless Isle. You can get a full set of good PvE gear and start your honor grinding with that set. Your Resilience is 77% even in PvE gear and your item level will be higher than any of the crafted gear. You do still want to work for the honor gear as it has a higher level in BGs and Arena, as well as more Stamina and also lots of PvP power. All socket bonuses are Str or PvP Power. It’s recommended that you gem to match them. See above for the gem plan. 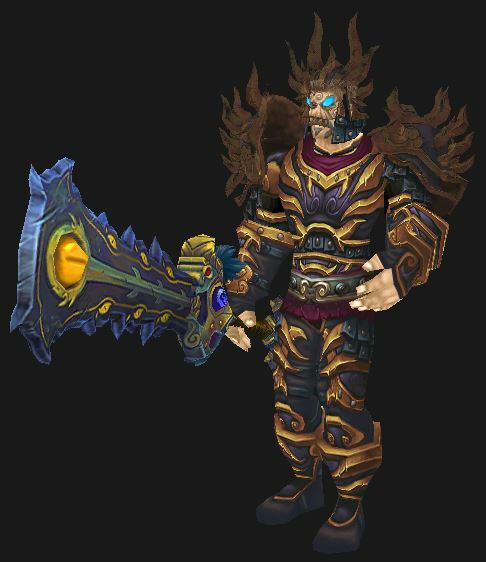 This is the crafted gear introduced with patch 5.4. All the recipes must be researched by the leatherworker and are expensive to make. Availability on your server might be low and prices might be high. Use the Crafted Dreadful gear (just below) if you can’t get the Malevolent gear. 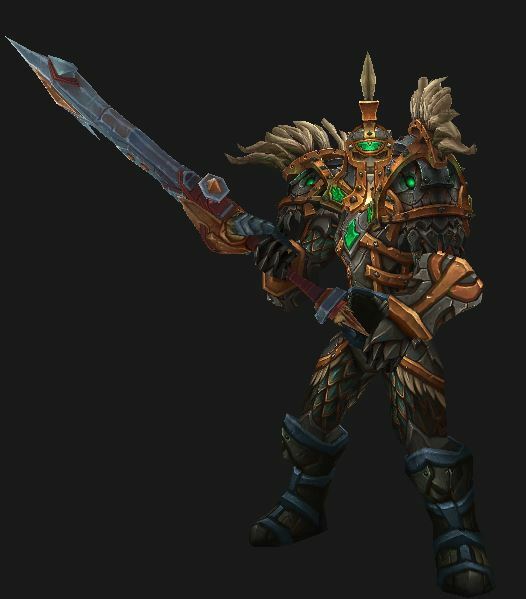 Blizzard did not upgrade this gear for season 15, so the step to from crafted to honor gear will be large. Gloves may not have the highest stat increases, but they come with the added benefit of decreasing the rage cost of Hamstring by 3. Maintaining solid uptime on your target is essential for maximizing damage output. The detail: There a new arena season in patch 5.4.7, but no additional PvE content. Honor gear is now item level 522, which will actually get you into most raids. PvE gear is downrated to 528 (eventually 540) in Season 15 BGs and Arena, so the honor gear is worth getting. In world ganking, er… PvP the PvE gear will be superior if it’s at least fifteen ilevels higher. In arena and the BGs you do not want to use any PvE gear if you can help it, though towards the end of season 15 it will be as good or better than the honor gear. If you did not participate in Season 14 then your honor gear should be accumulated to increase your characters power. The stat differential going from the Crafted Malevolent set to Grievous Gladiator Season 15 gear is large and will greatly increase you chances of success in a a PvP setting. If you did not participate in season 14 you should upgrade your gear using the Grievous Season 15 set available at the honor vendor. Below you will find a list of all of the honor gear pieces you can obtain. They are listed in order of their stat benefits to you. That is, if you go follow this list in order, you will get the best stats first. This is not a huge deal in the grand scheme of things, but we feel if you are going to gear up, you might as well do it in an efficiently as possible. ALWAYS MAINTAIN YOUR MANDATORY STATS! Keeping 3% Hit and 3% Expertise is your priority here. While anything over 3% Hit is wasted, it’s better to be slightly over than slightly under. See above for the Enchants. Grievous Gladiator’s Plate Legguards – The Legs are a great first pickup, due to their large Crit value, coupled with the added benefits of enchanting your legs with Angerhide Leg Armor. Grievous Gladiator’s Badge of Victory – Significant PvP Power, plus the additional On-Use Strength makes this item a strong addition. Grievous Gladiator’s Greatsword – (The Axe has the same stats as the sword, your choice.) Once you have earned 7250 honor points in Season 15, you may purchase your weapon, by far the largest damage increase you can purchase. Use Enchant Weapon – Dancing Steel as your weapon enchant. Your 2-piece set bonus eliminates the need for a weapon chain. 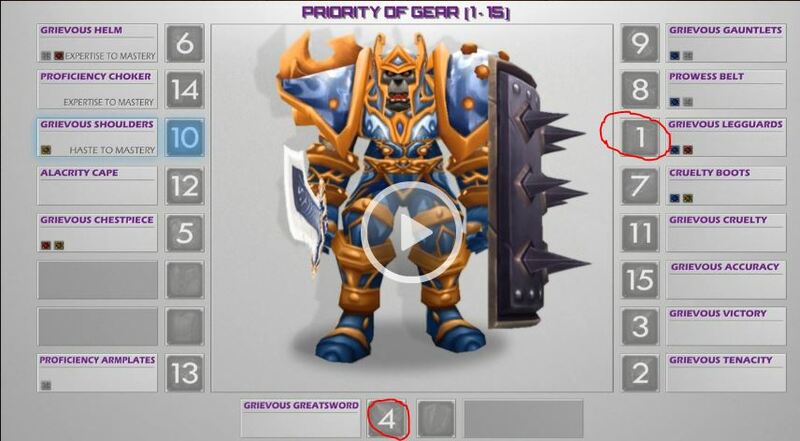 Grievous Gladiator’s Plate Chestpiece – Head, chest, and legs are all comparable in terms of primary stats. The Chest is selected next due to its Crit stat allocation. It also gives you the two piece set bonus. Grievous Gladiator’s Plate Helm – The helm is a good selection here because it has an Expertise allocation, and also offers a Meta Socket. Grievous Gladiator’s Plate Shoulders – Shoulders are the next upgrade due to its nice Expertise allocation, plus you now have your 4 piece set bonus. Grievous Gladiator’s Girdle of Prowess – The belt is next because due to the stat advantage of Crit/Mastery stats and the additional Gem socket from Living Steel Belt Buckle. Grievous Gladiator’s Warboots of Cruelty – Boots are a nice upgrade, again due to the Crit + Mastery allocation. Grievous Gladiator’s Plate Gauntlets – Gloves should be purchased next due to their Hit and Crit allocation, plus the rage cost reduction for Hamstring. Grievous Gladiator’s Armplates of Proficiency – Proficiency Bracers are allocated with Expertise and Crit, two very important stats for Warrior gameplay. Grievous Gladiator’s Choker of Proficiency – Neck before Rings because of the Expertise/Crit allocation. Grievous Gladiator’s Medallion of Cruelty – Due to this item’s lack of primary stats, this should be your last pick-up, provided you have a PvP trinket from a previous season. If you do not already have a trinket that removes movement impairing effects, THIS SHOULD BE YOUR FIRST PICK-UP. The Gear to Get and the Order in Which to Get It. Here’s the order in which you should grab your gear. The image is from a video that covers much of this guide. Click to view (membership required.) The image is for grievous gear, but the order for Season 15’s Prideful should be the same. This season (15,) there are two tiers of conquest gear. In hopes of creating a more level playing field, Blizzard has decided to do away with rating requirements for all items (except for a weapon enchant to help differentiate players that have attained a high rating). This means that all players will have access to the best PvP gear available, provided they earn enough conquest points to purchase the items. Note: The order below assumes you have acquired your Honor set, or at the very least you are at or slightly above the 3% hit cap. If you have a mix of upgraded and non-upgraded gear from last season, prioritize the gear that has NOT been upgraded. The stat gains will be greater. Resilience is not worth gemming for. You have the 772% base and when you have both trinkets you will have another 3%. You will want to be trying to punch through the other guy’s 80% Resilience, so will gem for offense. The order is a bit different from the image above, reasons are listed in the table. You are assumed to have an escape trinket already, otherwise that should be #1. Follow the gemming, enchanting, and reforging rules shown further up this page. With Season 15 gear you might well be reforging Hit off of your gear. Try to keep it at 3% or slightly over. You might need to reforge for your desired level (3-6%) of Expertise. The On-Use trinket is preferred for PVP, as the majority of your kill attempts will revolve around coordinated set-up with your teammates. Having access to an On-Demand burst increase will help with those attempts. There is a significant amount of PVP Power on the trinket as well, which is also nice. Your weapon is the biggest damage boost from any item,but 7,250 conquest points are needed to buy it. Note that the Axe and Sword have the same stats. Meta and red gems., PvP Power bonus. The meta helps nicely with overall damage. livingsteel belt buckle adds another socket. Our goal is to give you the absolute best gear set up you can achieve as an Arms Warrior in Season 14, and part of that is choosing the right professions. Before we tell you what the best professions are, we should note that when comparing professions, there is a very marginal benefit to your overall gear set, and you should not sacrifice a profession you really enjoy for the sake of a minor stat increase. Leveling a new profession can be very costly! This is the best Profession for an Arms Warrior because of the two extra gem slots that can be used to refine your stats. Blacksmithing offers you the best customization, as you are able to increase primary stats, along with the freedom to choose various secondary stats, such as Mastery, Crit, or even PvP Power and PvP Resilience! Other professions simply do not offer this much customization for your character. Currently you can drop two 320 Crit gems, 640 total, which other professions can’t offer. The next two Professions were a split decision between our pros, and are totally up to what you want to do. One can easily argue that Engineering is the #1 profession solely because of the glove enchant Synapse Springs that will increase your Strength by 1920 for 10 seconds. Great for that big burst window you set up when going for a kill. Note – Synapse Springs cannot be used in conjunction with the Prideful Gladiator’s Badge of Victory, as use of one or the other will invoke a short cooldown. Utilizing both On-Use procs does, however, allow for stronger burst attempts while your PvP trinket is on cooldown. Oh, and Nitro Boosts are the greatest things since sliced bread, but unusable in Arenas or Rated Battlegrounds. Jewelcrafting allows your character to use Resplendent Serpent’s Eye in two of your red slots. This offers you a boost to survivability along with some added damage. Tense Serpent’s Eye is also available to add even more damage output, if you feel your survivability is sufficient. Herbalism allows you to make some money, instead of burning it. If you have Alchamy or Inscription then your herbs will help there, too. The biggest reason for most is Lifeblood, a massive Haste cooldown. While Haste is not exactly your best stat, 2880 Haste for 20 seconds isn’t bad. This guide is a collaborative effort between Ayra and Mystic, originally produced by SkillCapped for patch 5.2 (upgraderd by GotWarcraft for 5.4.7) All of their written guides are available for free, and reposting is encouraged with a link back! Please let us know how the article was. Were we missing anything? Do you have any further questions? Was the format useful? We always want to improve our articles, and your feedback helps! Please “like” and share this article using the buttons to the right or at the bottom of the page. Thanks!